Hello! 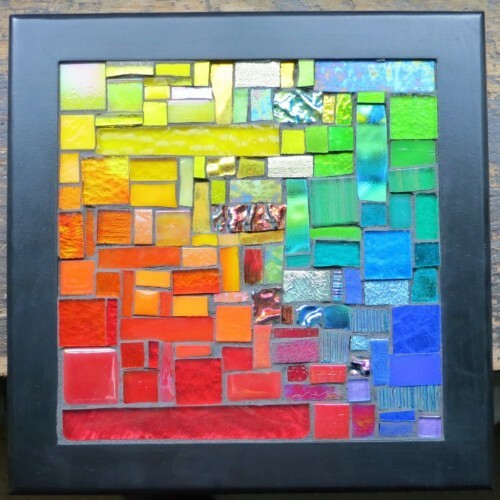 Love it–it is bright, vibrant, & the clarity and harmony of it all is downright joyful and energizing. I am an artist and have just renno’d an outbuilding to be a studio. I plan to place this is a protected outdoor entrance area where it will energize me and make me smile every time I enter! I love how the different shades of green tile change as the sunlight travels across them. 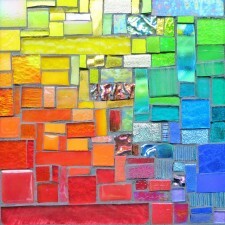 This is such a beautiful mosaic. 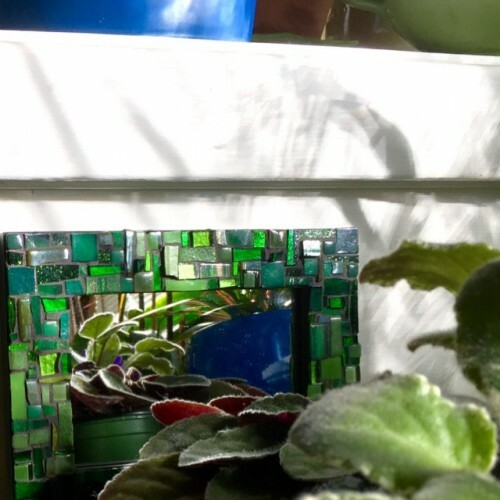 I replaced the glass with a mirror, which reflects the plants. Thank you for sharing your magnificent art at an affordable cost. 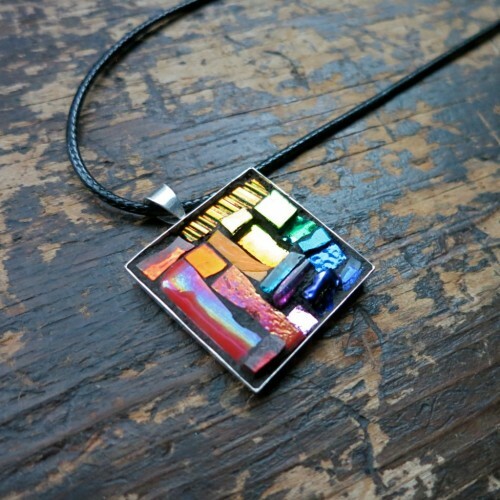 A unique and special pendant filled with just the jolt of pattern, texture, and colors — ROYGBV (Red! Orange! Yellow! Green! Blue! Violet!) — that I needed. Many thanks for your beautiful work Margaret.